Broco's flux enhancing proprietary formulation, BroCote, is the secret behind the reliability and ease of operation of the SofTouch® electrode. BroCote makes this electrode particularly impervious to water penetration and denigration and ensures certifiable underwater weld quality with less labor cost and time consumption. SofTouch® electrodes are used for on-site repairs in many applications where steel must be joined underwater according to code specifications. SofTouch® welds consistently meet or exceed AWS D3.6-98 specifications for Type B welds, the American Welding Society's standard for certifying underwater welds. SofTouch® is designed to pass all AWS test requirements, including radiograph, bends and hardness and is the wet welding electrode welding engineers and divers prefer. Since 1989, SofTouch® electrodes have been specified in the U.S. Navy's Ships Husbandry Manual Chapter 11, "Underwater Wet and Dry Chamber Welding." U.S. and Navy diving commands, shipyards, and contractors use SofTouch® for repairs and maintenance on Naval vessels worldwide. SofTouch® electrodes are available in various sizes and alloys for both mild steel and stainless. SofTouch® mild steel electrodes are available in 1/8 inch, 5/32 inch and 3/16 inch diameters. 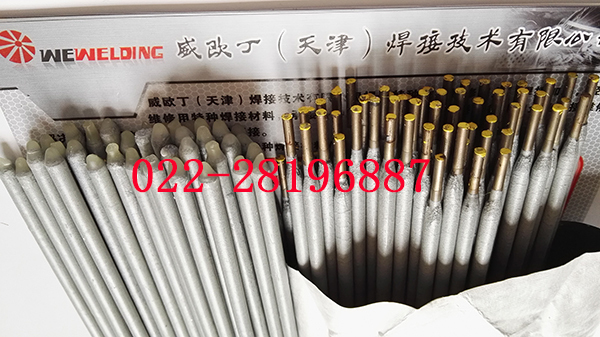 Stainless electrodes are sold in 1/8 inch and 5/32 inch sizes. SofTouch® wet welding electrodes are sealed in a Mil-Spec foil pouch to prevent contamination. The electrodes are then packaged in a rigid resealable plastic tube which provides maximum protection. The color-coded end cap denotes mild or stainless steel electrodes. Operating guidelines are printed on the label.